This coconut granola is made with coconut chips, nuts, and optional dried fruit coated in a coconut oil and honey glaze. These homemade energy bars are packed with chocolate, coconut oil and shredded coconut for a healthy and delicious treat. Kid-approved! Roasted cabbage tastes delicious when roasted in this healthy way! 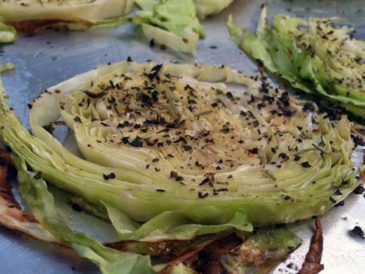 Try this recipe, even if you aren't a cabbage fan... it is wonderful! These chocolate chip cookies are grain free, gluten free and sugar optional. Easy to make and a great sub for regular chocolate chip cookies. These Zucchini Fritters or tater tots are a more nutritious alternative to the potato versions. 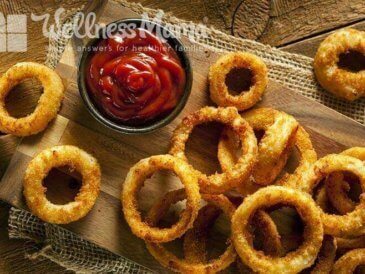 They are easy to make and kid-approved. 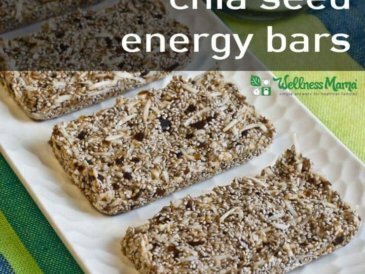 These homemade chia seed energy bars are simple to make and packed with nutrients! These natural food bars give you lasting energy! This delicious sorbet recipe turns a smoothie into a healthy ice cream sorbet with fruit, banana and coconut milk. Use your favorite fruit. 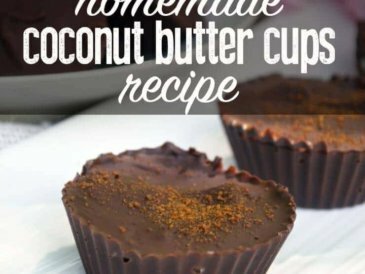 Try these delicious homemade coconut butter cups that provide healthy fats and are a great alternative to peanut butter cups! 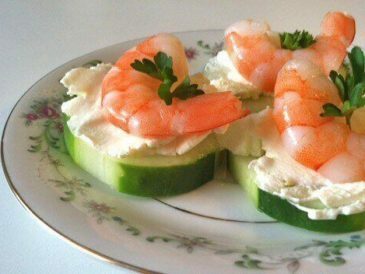 Shrimp and cucumbers with cream cheese for a simple and fresh appetizer that can be made in minutes. 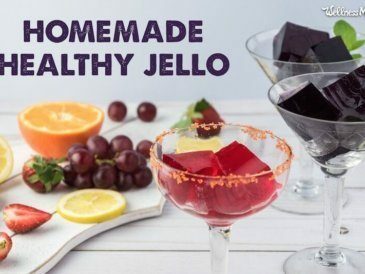 This healthy and homemade Jello recipe is made with grass fed gelatin and no added sugar or artificial ingredients for a healthy treat. 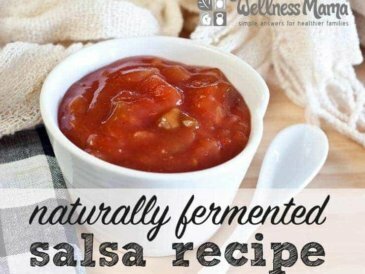 This fermented salsa combines the nutrients in fresh salsa with the probiotic benefits of fermented foods for a simple, delicious and healthy recipe.